When Charles Dekeukeleire makes Combat de boxe (Boxing Match), he is 22 years old and obsessed with cinema. He immediately aligns himself with the defenders of pure cinema, Germaine Dulac, Jean Epstein, Marcel L’Herbier, Louis Delluc. He also admires Vertov and his conception of the Kino-Glaz, the cameraeye. 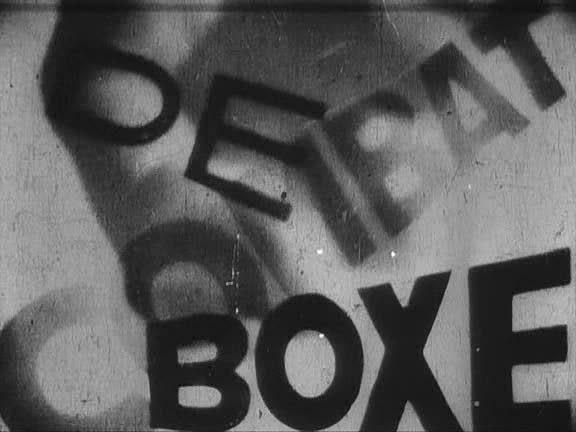 A poem by Paul Werrie served as starting point for this film which is based on a high-speed montage, close-ups, superimpositions, the successive use of the negative and positive image and the principle of rhythm. The violence of the fight, the presence of the audience, the tension between the crowd and the ring are swept up in a dazzling choreographic montage.